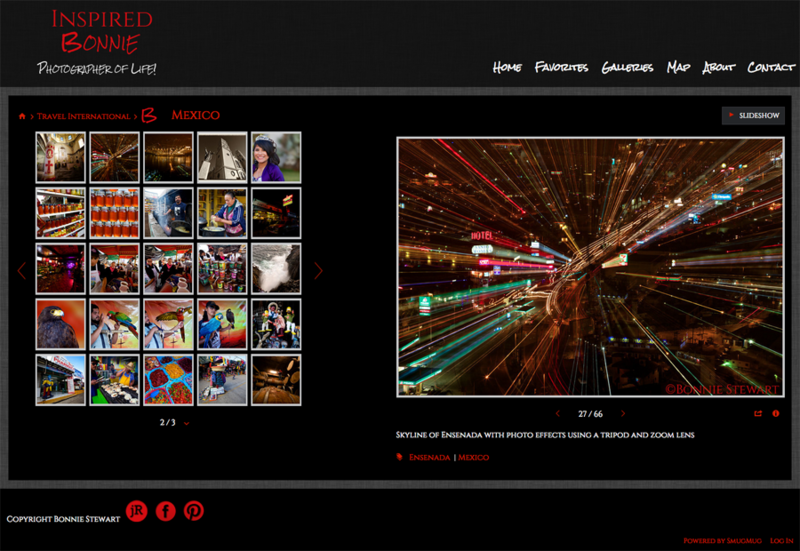 Inspired Bonnie – Photographer of Life! 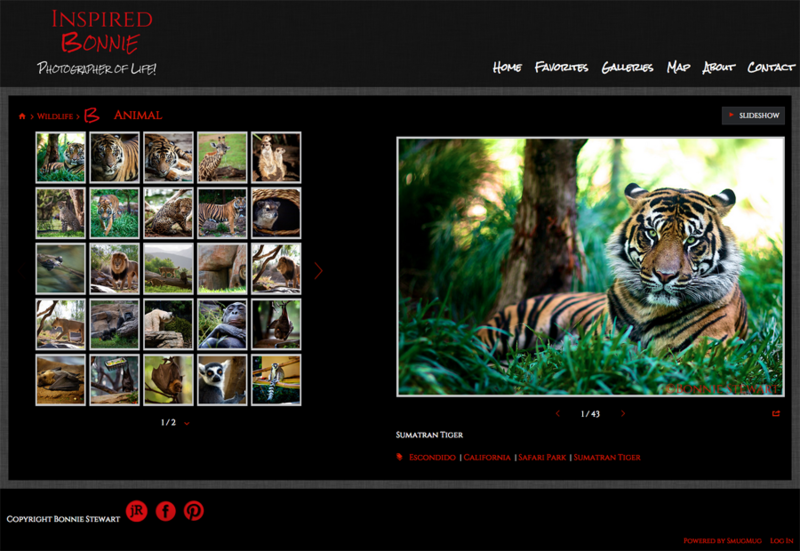 International Photographer Bonnie Stewart who has been featured in National Geographic and travels throughout the world ‘photographing life’ is a SmugMug user. 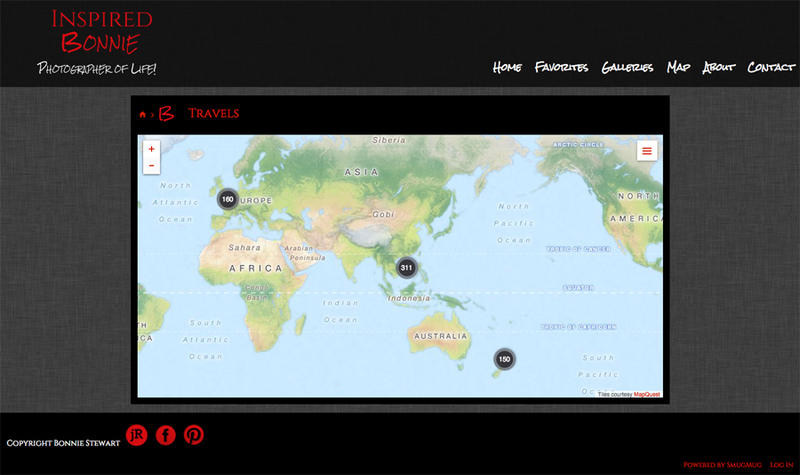 Bonnie uses the SmugMug map feature to capture the location of her photography adventures! 1. Why to you like photography ? Photography has always been part of my life. I interpret life visually and communicating through my camera is what inspires me. I love all types of photography. Animals are always fun to capture. Landscapes, portraits, travel documentation….there is so much beauty in life and photographic opportunities that I cant really limit my options. 3. Share a funny story about your photography. For years I have wanted to get the Canon 85 mm 1.2 lens which is really a wonderful portrait lens. Six months ago I bought it. This is not the funny part of the story. The funny part of the story is how I chose to use it on the first day. I took animal shots! 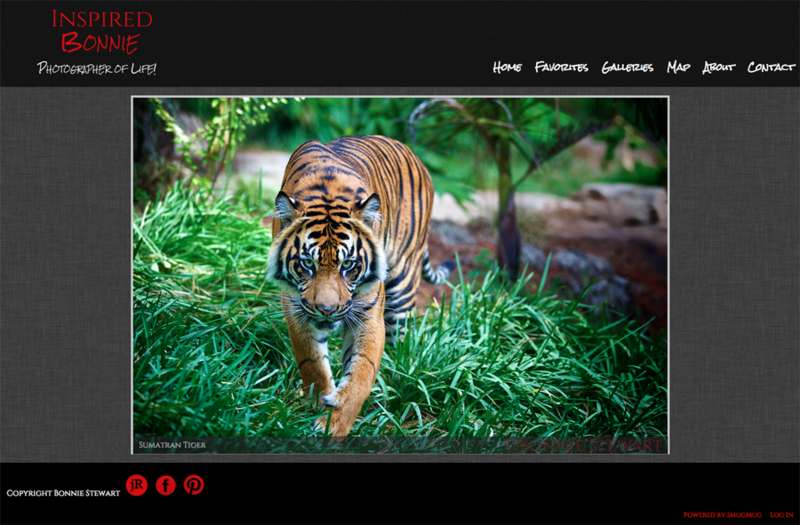 The lens is very fast but the focusing is very slow and of course the animals move. This was not a confidence inspiring moment. 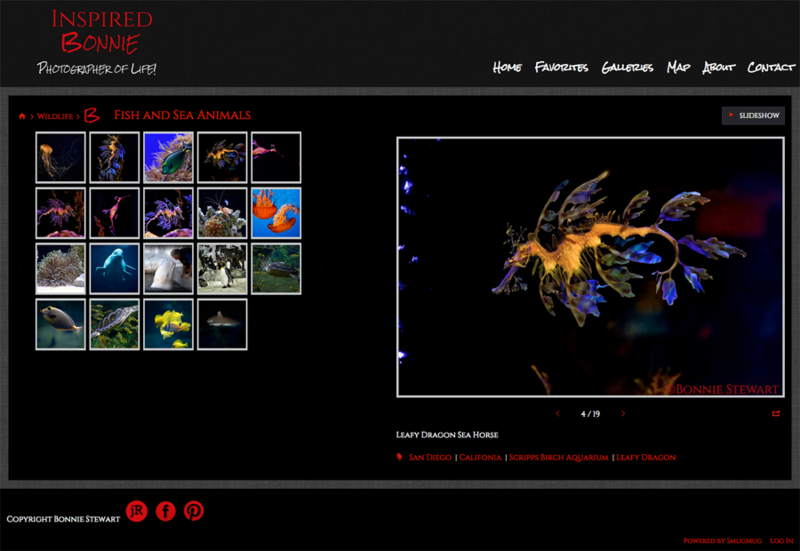 Anyway I did get some nice pictures of a jelly fish and leafy seahorse. If you zoom your lens while on a tripod with a long exposure you can create a wonderful abstract image . This image is of Ensenada at night taken on a tripod and zooming during exposure. 5. Why do you love SmugMug and /or jR Customization? 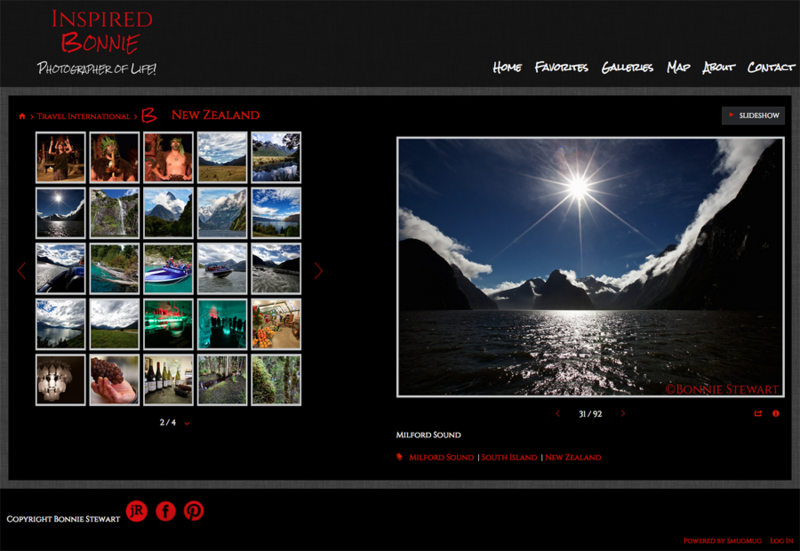 SmugMug offers a site and email support system for hosting websites uniquely valuable to photographers. Their support is responsive, quick and excellent and available 24/7! 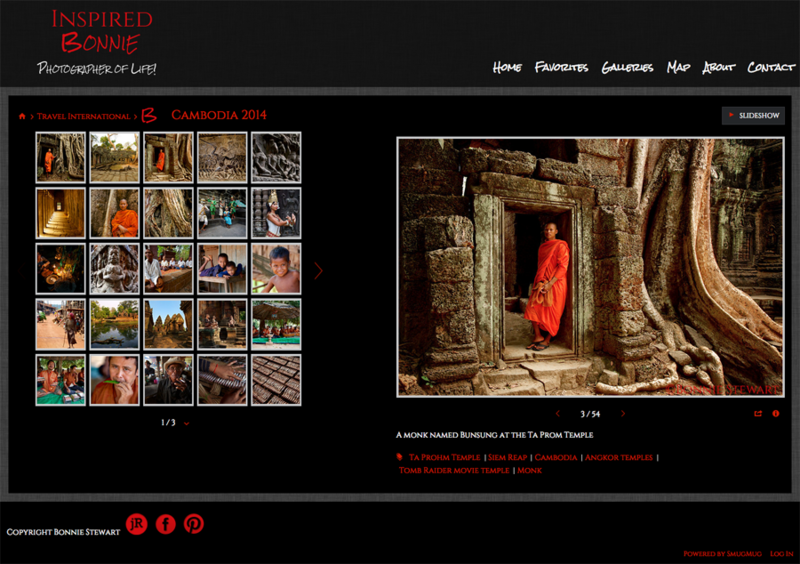 Actual experience in building my website was with jR Customization. 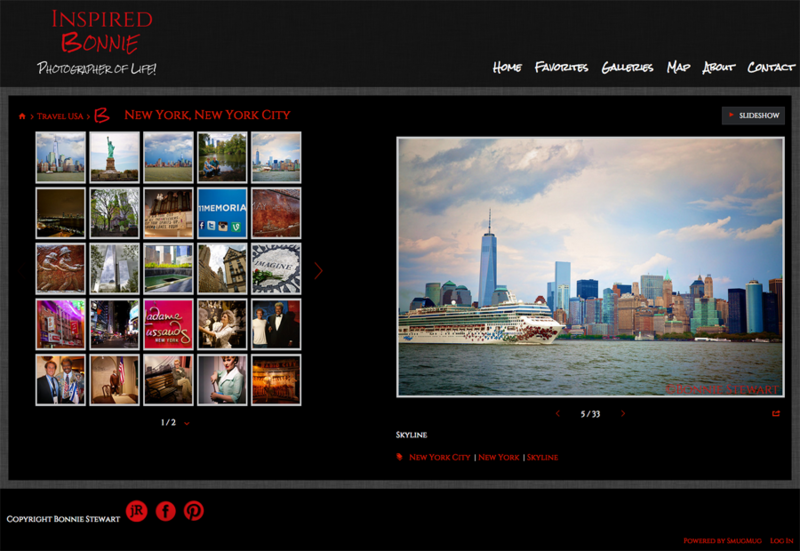 jR Customization helped me to realize my goal of creating a beautiful site to display my images! To say that I am happy and pleased with jR Customization is an understatement! They did a marvelous job. I have had incredible responses to the site from all over the world. It is simple, elegant and easy to use. 6. What is your major goal or photographic project for 2015? My goals for 2015 are to continue to work on all aspect of photography and improve my skills sets. I am focusing on three areas: unique perspectives, shooting into the light, creative lighting. Unique perspective – showing NYC skyline with a cruise ship in the foreground that looks much larger than in reality. Shooting into the light – a view of Milford Sound, New Zealand. 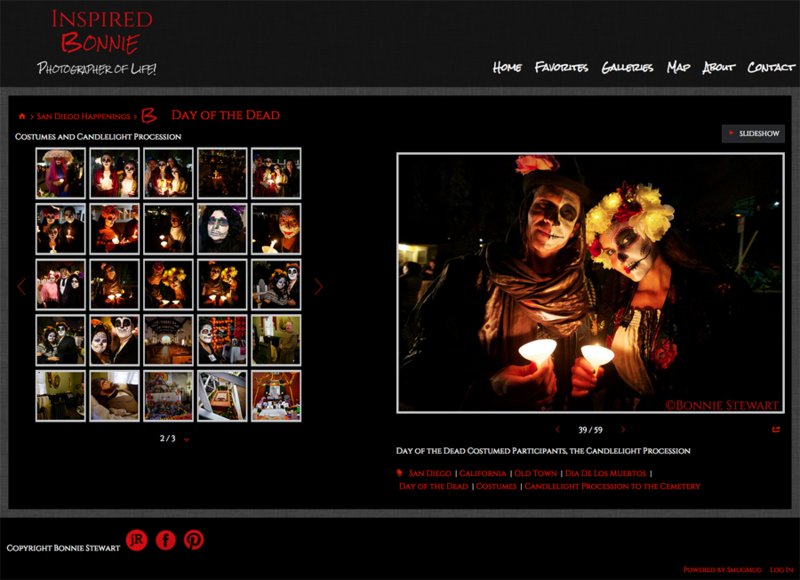 Creative lighting – candles light the subjects during the Day of the Dead festivities in San Diego Old Town. 7. How can readers learn more about you?